From the time Child Evangelism Fellowship was founded in 1937, our financial policy has been Ask God and tell His people. We recognize that God is the source of all the resources we have and all the resources we need. We are very thankful to God for the thousands of friends of CEF who give generously to make this ministry possible. We recognize that we are stewards of a sacred trust. Therefore, we are committed to accountability and transparency in all of our finances. Each year the ministry undergoes an independent financial audit. The most recent audited financial statements, along with our most recent Form 990 federal tax return, can be found below. Download a list of the International Board Of Trustees. Thank you for your interest in the financial support of Child Evangelism Fellowship Inc. We thank God for your part in this outreach ministry to boys and girls with the Gospel. We view your support of CEF as a sacred trust, for we know that we are accountable to you and to God for exercising good stewardship of the funds you have entrusted to us. If at any time you have a question or concern about a donation or your privacy of information, please contact Karen Spoonster, Mail Processing Supervisor at 636-456-4321 ext. 1251. She or a member of her staff will be happy to assist you. It is our desire to be wise stewards of each gift given to support CEF. Your contributions make a difference in allowing us to share the Gospel with nearly 23 million children a year. The following illustrates how our resources are allocated in a typical year. 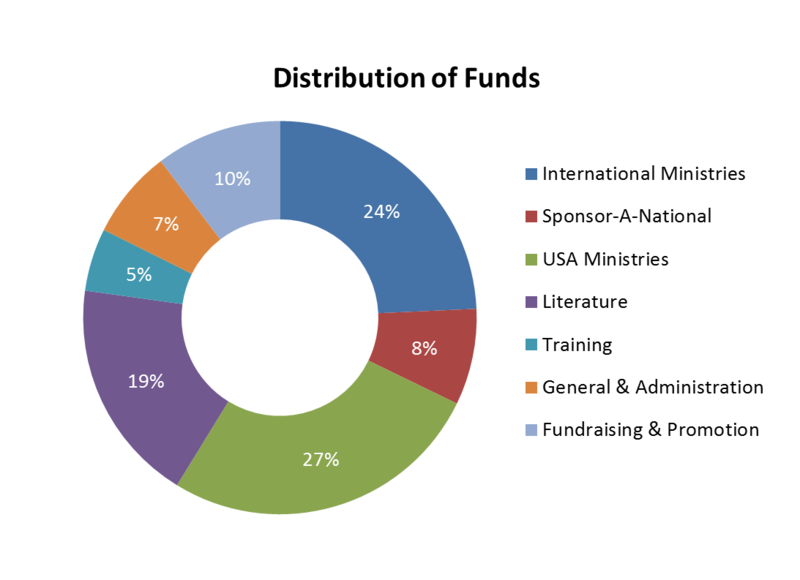 Note that the costs reflected in this graph do not include support received directly by a CEF chapter in the USA or in a national CEF office around the world. Our online donation system uses industry standard SSL encryption technology. SSL encrypts your data, including your credit card information, so that it cannot be read while being transferred over the Internet. 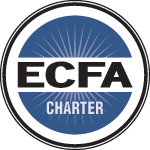 PLEASE NOTE: If your intention is to direct your gift to a particular worker of a local CEF chapter in the USA please use our Chapter Finder to locate the contact information for the local chapter you wish to contribute towards and send your donation there. Electronic donations may be given through this website to be passed on to the chapter. Because of the cost associated with such transactions, a small processing fee of 5% is assessed for such electronic donations made to local USA chapters.